My kids, ages eight and ten, get a weekly allowance. My husband believes this money is theirs to do with what they want. I feel like parents should have the final say on how kids spend their money. Here’s our situation: One of the kids wants an expensive video game. I say no, but Dad says it’s his allowance, so he should be allowed to spend it how he wants to. What do you think? Most adults have a very emotional attachment to their money, so it is not likely Dad’s attitude is “let him buy whatever, whenever he wants.” Chances are, what he is trying to convey is, “Let him learn how to have money and manage it himself.” And I couldn’t agree more! Whether the issue is money, homework, friends, etc., if there is risk involved, your instinct might be to prevent your child from failing by closely managing the issue. Thankfully, we are beginning to realize this parenting strategy has no long-term benefit for our children; actually, quite the opposite. So, I completely agree with Dad, if the underlying concern is about allowing children freedom with their own money. Even if you feel that your child is making a purchase that is impulsive, it is in the child’s best interest to learn to try, fail, learn from that experience, and try again. Kids do not learn much of anything by being talked at; they are experiential learners. What they experience as disappointing is not likely to be repeated. “I spent all my money on that one video game and it’s already off the cool list” might just sound like an expensive mistake to you, but it has the potential to pivot your child’s spending for life. But, is your concern more about the purchase itself? Your value system, not a child’s, takes precedence, but the child needs to know what those values are and what those values look like in their world. Sit with him frequently to chat about what is off limits in your home. Don’t assume he knows what your expectations are. Talk about them. Translate them to your child’s world. “You already know that a violent TV show is off limits, but violence can also live in the music you listen to and the games you play. Even if you can afford anything you want, you don’t get to have anything violent here.” Saying to your child: “You may buy any game you can afford, except ones that have a rating for violence” gives your child the freedom to learn how to manage his money well and within the framework of your value system. 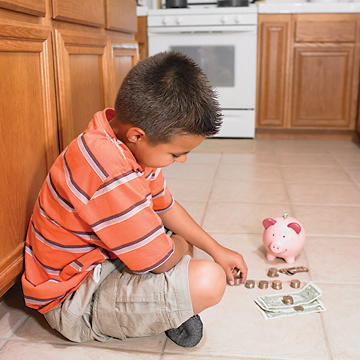 If your objections are more about the amount the child is spending, then work with him and choose a spending limit. Collaboration and clear boundaries leave room for try-fail-try again, a winning parenting strategy. What are your feelings about allowance? Money given as allowance quickly becomes the source of power struggles because we end up making it a reward for performing well, such as doing chores. Then we have to take it away when the chores don’t get done. All children should be expected to complete chores, but I want that concept to be very separate from allowance. gave us a successful start! Suzanne Hanky is a parenting coach and educator with eighteen years of clinical experience. 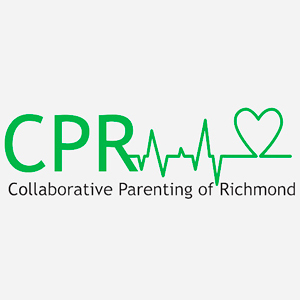 She founded Collaborative Parenting of Richmond in 2012 with two locations. She is the mother of five grown children.